Google puts more weight on words found at the beginning of your title tag. Most pages that rank for competitive keywords strategically place their keywords in the beginning of their title tag. 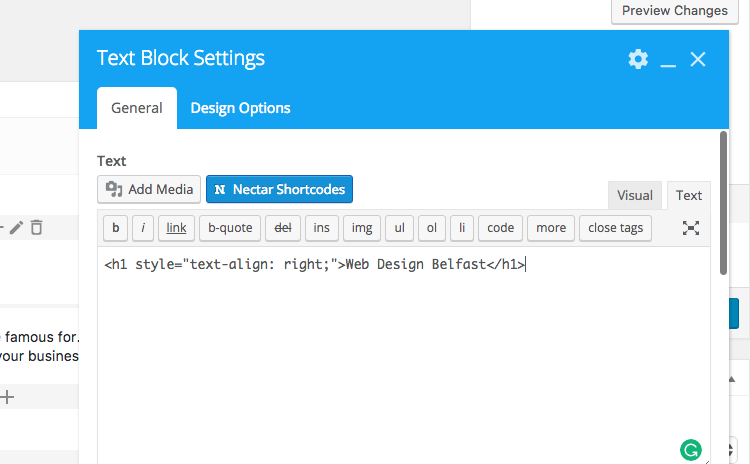 Google would see the first headline as MORE about the topic of “web design belfast” than the second one. Why? Because the keyword is at the beginning of the title tag. So you’d want to go with headline #1. Why does your URL matter for SEO? Just like your title tag and content, Google uses your URL as a clue to help them figure out the topic of your page. And the easier you make that process for them, the more confident they’ll be about ranking your page for your target keyword. Adding multimedia – like images, screenshots, lists, and videos – doesn’t have a direct effect on your page’s rankings. But I included it here because it boosts user-interaction signals that Google is paying more and more attention to. Multimedia also increases the perceived value of your content. Google wants to see you as an active member of the web. If you rarely link out to other resources – or ‘nofollow’ all of your outbound links—it looks like you’re hoarding PageRank for yourself. Keyword prominence is the new keyword density. In other words, Google pays close attention to WHERE a keyword appears on your page. The earlier it appears, Google’s thinking goes, the more important it must be. Think about it like this: We are writing an article about Web design. 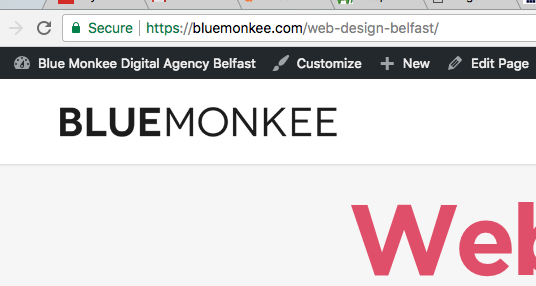 Wouldn’t it be weird if the first time the words “web design” appeared was in the last sentence of the article? Well it’s the same idea. It looks weird NOT to mention your keyword early in your article. Your H1 tag is like your page’s subheadline. It tells Google exactly what your page is about. Page Speed is one of the few ranking signals that Google has publicly confirmed. It’s that important. You can easily evaluate and improve your site’s loading speed using Google’s own PageSpeed Insights tool. If you are worried about Page Speed, get in touch with one of our team who can run a quick, free report which will provide easy recommendations to fix any issues. The easier you make it for people to share your article, the more likely they are to share it. Make sure your social sharing buttons are prominently displayed in blog posts and articles. As you can see, the top 10 results have an average of approximately 1800 words. 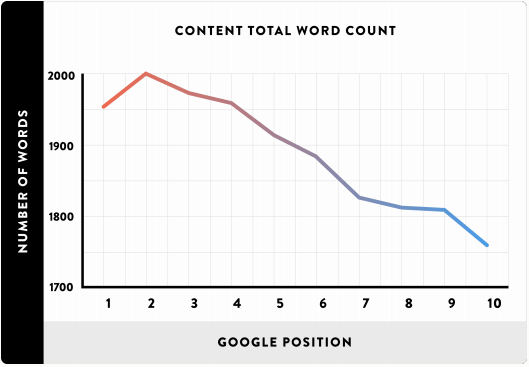 Write at least 1500 words for content that you’re trying to rank for competitive keywords. Bounce rate is an SEO and conversion killer. If Google sees people bouncing from your page in the search results, it’s a clear sign that you’re not a quality result for their users. And they’ll quickly drop you from the first page. Adding internal links to the beginning of your content is one of the fastest ways to decrease your bounce rate. Like with bounce rate, Google pays very close attention to “short clicks” vs. “long clicks”, also known as dwell time. Dwell time simply measures how long a searcher stays on your page before hitting the back button. If they hit their back button immediately after landing on your page, it’s a sign of a low-quality page. You can increase your average dwell time by writing long, engaging content that keeps people reading. That way — even if they bounce back to the search results — you at least have a “long click”. That long click shows Google that you gave them something of value while they were there. Internal linking helps your bounce rate and is also considered highly important for user-friendliness, one of the most important aspects for any website. I don’t think H2 and H3 tags are a big deal. But you should include your target keyword at least once in an H2 or H3 subheading as good practice. This also has the added bonus of making your content easier to read. This isn’t absolutely necessary, but optimising your images for popular keywords can land you traffic from Google Image Search. So there you go. Some free insights into the mystery that is SEO. 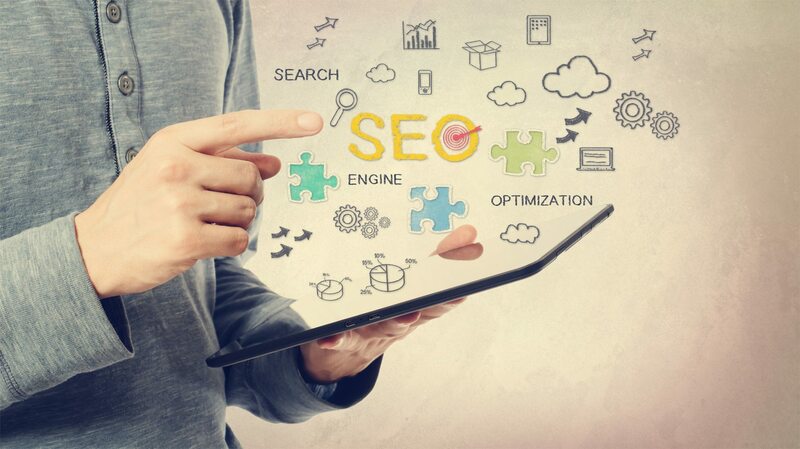 It doesn’t need to be a mystery and we would be delighted to explain to you how SEO can really help your business get new customers and sell more products.After all isn’t that the whole purpose of having a website? Feel free to get in touch with us to discuss your online presence and what SEO can do for you today.